Alexander (Alex) Leake was born in Small Heath, Birmingham, on 11th July 1871. A centre-half, Leake joined Small Heath in 1895. After playing 198 games for the club he joined Aston Villa in June, 1902. Leake played 28 games in his first season with the club. He also held his place in the 1903-04 season. Leake won his first international cap for England against Ireland on 12th March, 1904. The England team included Joe Bache, Herbert Burgess, Alf Common, Bob Crompton and Vivian Woodward. England won the game 3-1. On the final day of the 1904-05 season, Manchester City needed to beat Aston Villa to win the First Division championship. Sandy Turnbull gave Leake, the Villa captain, a torrid time during the game. Leake threw some mud at him and he responded with a two-fingered gesture. Leake then punched Turnbull. 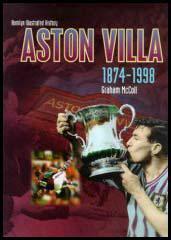 According to some journalists, at the end of the game, Turnbull was dragged into the Villa dressing-room and beaten-up. Aston Villa won the game 3-1 and Manchester City finished third, two points behind Newcastle United. After the game Leake claimed that Billy Meredith had offered him £10 to throw the game. Meredith was found guilty of this offence by the Football Association and was fined and suspended from playing football for a year. Tony Matthews described Leake in his book, Who's Who of Aston Villa as: "A good-humoured, easy-going defender whose temperament was second to none... He often cracked a joke with an opponent while robbing him of the ball and regularly burst out laughing just before a corner-kick was being taken." Leake won his last of his five international caps playing for England against Scotland on 1st April, 1905. The England team included Joe Bache, Howard Spencer, Charlie Roberts, Steve Bloomer and Vivian Woodward. England won the game 3-1. In December 1907 Leake was transferred to Burnley. 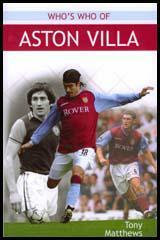 During his five years at Aston Villa, Leake scored 9 goals in 141 games. Leake retired from playing football in May 1910. He also worked as a coach/trainer for Crystal Palace (1912-15), Merthyr Town (1919-20) and Walsall (1932-33). Alex Leake died in Birmingham on 29th March, 1938.